Amey started her natural foods career in the late 80’s while living in the midwest. A close brush with a health crisis pushed Amey to make natural wellness both her personal passion and her mission. Amey moved her family to the Rogue Valley 7 1/2 years ago when she became operations manager for a supplements manufacturer. In that position Amey had tremendous opportunity and a professional sense of accomplishment but she lost her joy for the industry. What was missing was the feeling of service from helping someone discover a path of wellness and the magic of watching families grow up strong and healthy. 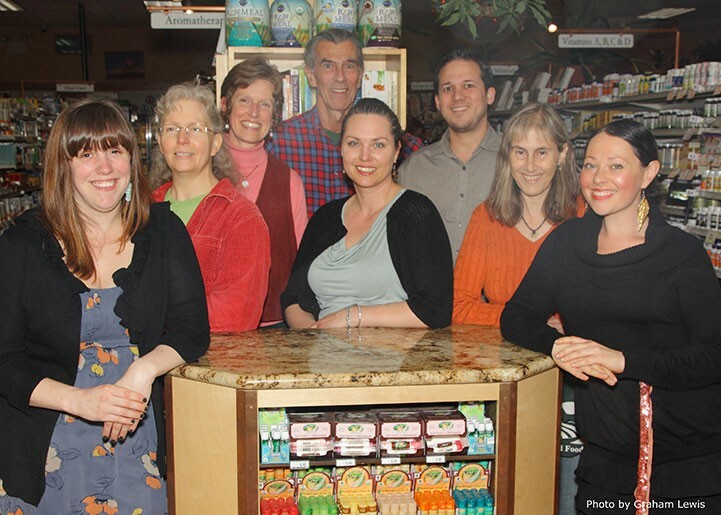 The time was right for her to move to Medford Food Co-op and be part of one of the most rewarding experiences of her life, witnessing the birth of a co-op through the heart and determination of the community. Yet when the opportunity arose for her to work at Ashland Food Co-op, she once again felt immeasurably blessed . Each day on her walk to work she feels gratitude for her destination and the opportunity to provide for you and your loved ones. The Co-op has many ways to help you save money on all Wellness and Body Care products. If your total comes to $100 or more, you will receive a 10% discount on your purchase! On any given day as many as 200-700 products are on promotion. This means that the manufacturer is offering a sale price on particular items or even a whole line of products. Our Basic Pricing and Every Day Low Price items are always offered at reduced prices to make good health accessible to as many people as possible. Look for the special signage showing products in these two programs. Add in manufacturer’s coupons, and also, if you’re a Co-op member, coupons in the Co-op Deals coupon book, and you’ll save even more. Use your bimonthly Owner Coupons to deepen your discount at the register.